Responsible use of resources is smart. So we give you the most eco-preferable choices, including FSC-certified products with fiber from well-managed forests where people, wildlife and environment all benefit. We strive to provide you with the best papers, envelopes and graphics arts tools available — including what might be the largest selection of eco-preferable fine paper products available online. 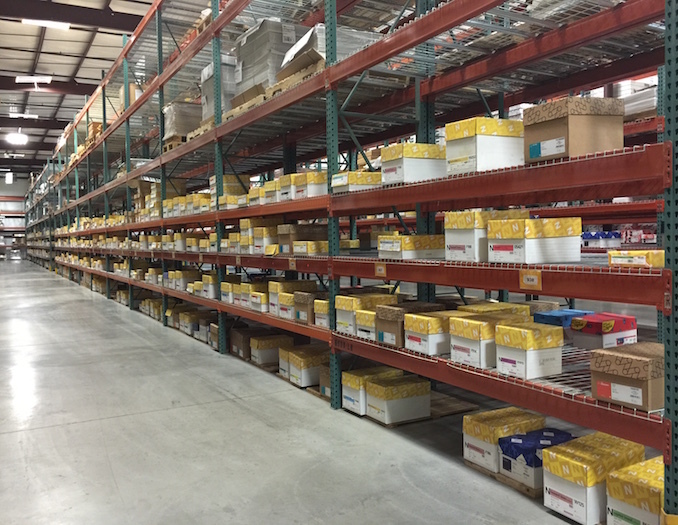 Internally we operate our company using as many eco-preferable processes and resources as we can. 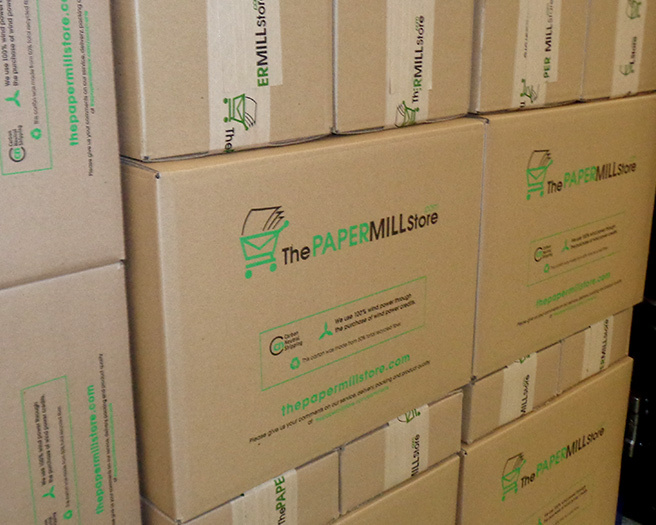 The Paper Mill Store is committed to making real change to its business practices to become a better steward of the environment. The Paper Mill Store uses wind power in all our facilities. 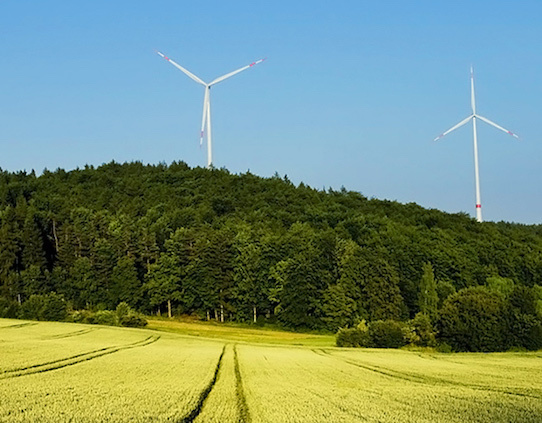 We choose to purchase wind power credits for our corporate offices — as well as our converting and distribution center — to help protect the environment and reduce the use of foreign oil. Purchasing credits serves as a voluntary subsidy for the growth and expansion of wind power production. This helps our country move away from foreign oil while reducing the introduction of greenhouse gasses into the atmosphere. Since January 1, 2008, we offset 100% of the carbon dioxide produced by our shipping products to your door. What this means is that we now calculate the carbon footprint associated with our outbound product shipping, and subsequently purchase carbon offsets to lessen the impact of the carbon produced — reducing carbon output by as much as 115 tons per year. We strive to reduce the amount of material we use for shipping, while making sure products arrive in perfect condition. Our packing materials feature 50% recycled fiber shipping boxes and 13% recycled plastic filler. We hope you will re-use these very high quality materials. We sell over 5,000 recycled paper items, so you need not compromise on choice, design or quality. Many of our premium and specialty papers — even translucent vellums — are made with high percentages of recycled fiber! We're proud of our industry's efforts — and our own — to make more environmentally responsible choices and more substantial changes to how we do business. Using FSC-certified products saves forests while protecting wildlife, clean water and local / aboriginal peoples worldwide. Recognized by the program director for our leadership, we're replacing part of our electricity consumption with green power. We buy carbon offset credits to support alternative energies and projects that don't generate (or reduce) CO2.